The OpenStack community marked the eighth release of its open source software for building public, private, and hybrid clouds. 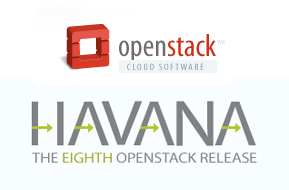 OpenStack Havana introduces nearly 400 new features to support software development, managing data and running application infrastructure at scale. There were over 900 contributors to the Havana software release, a more than 70% increase from the Grizzly release six months ago. Two new projects, OpenStack Orchestration and Metering, were incubated during the Grizzly release cycle and are now available in the Havana release. "If software development, managing data or running application infrastructure is strategic to your business, OpenStack is the platform that will accelerate time to value," said Jonathan Bryce, executive director of the OpenStack Foundation. "We’ve seen more users contribute directly to the Havana release than ever before. It means users are empowered and driving the direction of OpenStack based on their real-world use cases and implementations."